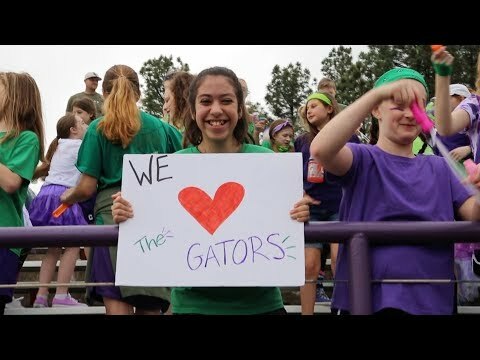 The mission of Central Arkansas Christian Schools is to partner with parents to provide a distinctively Christian education that inspires excellence, independence, and a transforming faith in God. Jesus is the son of God and our example for this life as well as our hope for eternal life. Maintaining a strong relationship with God is a guiding principle and therefore serves as the cornerstone of all our educational programs. Implementing the highest standard of academic training includes the promotion of patriotism, loyalty and respect for authority. Cultivating the desire in each individual to reach his or her full potential includes the development of self-esteem and the appreciation of excellence in others. Training young people for leadership and participation in Christian service to others is part of our responsibility as educators. The primary responsibility of educating and rearing children belongs to parents, whom we partner with in order to support and encourage student growth and success. We believe in the Creator, in the person of God the Father, the Son Jesus Christ, and the Holy Spirit and His love for us and all mankind. This revealed love compels us to trust and obey the Lord’s teachings and to seek His will for our lives. We seek to view our world from a Christ-centered perspective. We desire to share the good news of Christ by telling of God’s love for us, loving others as God loves us, treating others as we want to be treated, and selflessly serving others and our Lord wholeheartedly. As followers of Christ, we are called to be leaders in our family, church and community. We believe we are called to glorify God and to offer our best to Him in all we do. We believe every individual is a wonderfully unique creation of God who should be treated with respect. Failure to respect the created is lack of respect for the Creator, and therefore we celebrate our differences and value diversity. We value lifelong spiritual and emotional growth and the cultivation of the fruit of the Spirit (love, joy, peace, patience, kindness, goodness, faithfulness, gentleness and self-control), lifelong intellectual growth through disciplined study both academically and personally and through a love of learning and discovery, and a lifelong commitment to physical well-being and growth in recognition that our bodies are the temple of God. In June of 1970, eight families from Central Arkansas Churches of Christ shared their vision for a school where their children could receive a Christ-centered education. Although their resources were limited, the families took a leap of faith to transform their dream into a reality a short year later. Under the leadership of six board members representing six local church congregations, the school opened its doors in the educational building of Sylvan Hills Church of Christ on September 13, 1971 to 156 first grade through sixth grade students. With a core group of dedicated families and church leaders from all corners of the Little Rock area, the school was chartered as Central Arkansas Christian Schools, Inc. Within its first year of operation, CAC received accreditation from the Arkansas State Board of Education. Following a year of growth, the school opened a second location at the Pleasant Valley Church of Christ in west Little Rock in 1972, and for a short period of time the two locations became known as C-Ark North and C-Ark South. Striving to advance the opportunity for a Christian education to the high school level, the Bailey Street Church of Christ in Jacksonville, Arkansas, welcomed grades seven through 10 into their facilities in 1974. Within two years, CAC’s high school athletic program had begun, and the academic curriculum grew to include grades 11 and 12. In 1977, CAC’s first graduating class, composed of nine students, received their diplomas. In June of 1976, realizing CAC’s rapid growth and need for a stand-alone junior and senior high school, the board set a goal to move into a new facility within two years. That desire came to fruition in the fall of 1977 when CAC purchased a 36.4-acre wooded knoll off of Windsong Drive in North Little Rock. With the help of the community, the school cleared the property to become home to CAC’s secondary campus — Mustang Mountain. In 1978 CAC opened a third elementary campus called the University Campus at Geyer Springs Church of Christ in southwest Little Rock. This campus acted as home to hundreds of elementary students before merging with the Pleasant Valley campus at the Pleasant Valley church facilities in 2003. Since its original construction, CAC’s secondary campus has seen significant expansion to meet the needs of the ever-growing student body, including the addition of the auditorium, science and music buildings, library and athletic center. In 2003, the now 12-member board of directors acquired the property adjacent to the junior-senior high, increasing the secondary property to close to 75 acres. By 2011 the Sylvan Hills campus had outgrown its church building facility, and the search for new facilities began. In 2012, CAC purchased a former YMCA building and property off of JFK Boulevard in North Little Rock and renovated the facilities to become home to North Little Rock Elementary. After many years of careful stewardship, additions and improvements, Central Arkansas Christian school is now home to more than 800 students. Today, CAC continues its commitment to Christian education through the nurturing of each student’s abilities and by challenging each individual to achieve excellence for the glory of God.